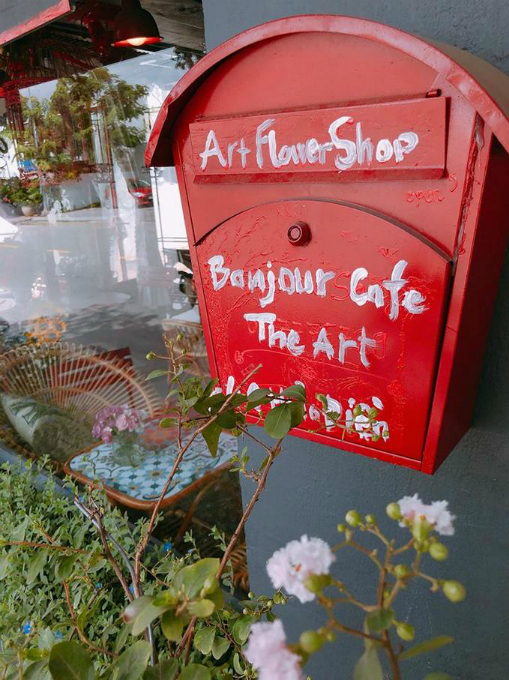 Bonjour Café The Art is the place where you can emerge yourself with colourful flowers and beautiful scents. 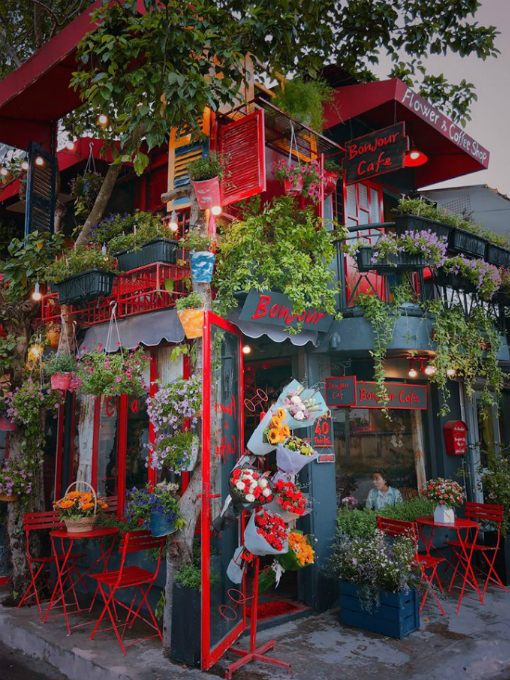 Modeled after the small cafés of Paris, Bonjour Café The Art in 40 Thao Dien Street, District 2, is a romantic flower garden. 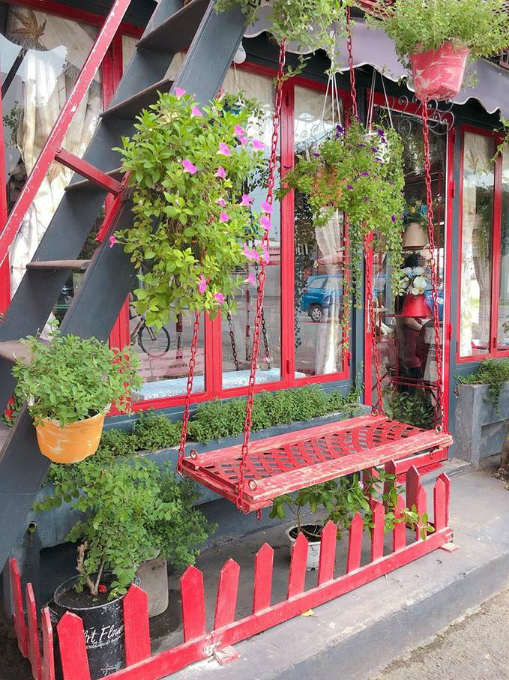 With red as the main colour, the little café in the corner of the intersection catches passerby eyes. At the front of the café, there are also some beautiful flower bouquets which visitors can purchase. The moment you step inside the café, its beautiful, gentle floral scent and cool air-conditioned room will shield you from the heat of Saigon and help you relax. 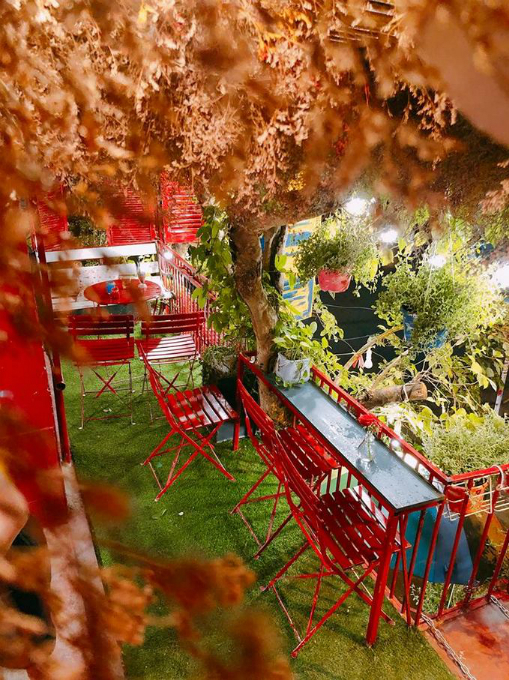 This red swing, surrounded with flower baskets is girls’ favourite area for taking photos. The stair leads to the open rooftop of the café, which can become quite hot during summer days. 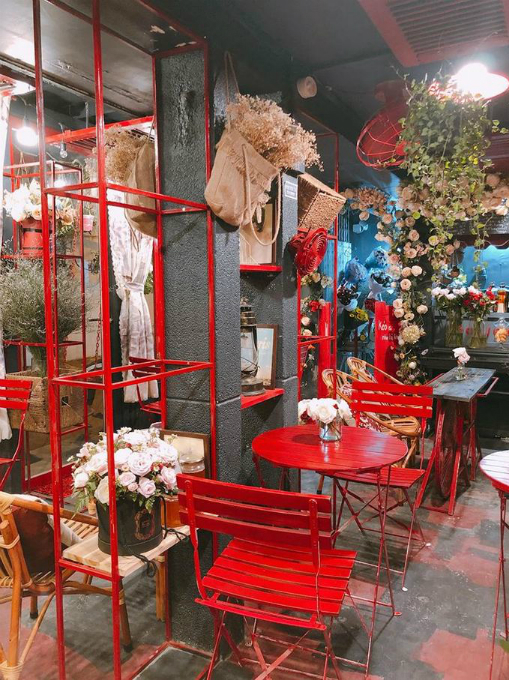 This café wins over the heart of its female customers by filling the place with pretty and cute decorations like small red mailbox, simple signs, hand written menu at the front of the café. Despite being small, the interiors are arranged carefully and very well-decorated. Any spot in the café can be a beautiful background for the customer’s photos. Drinks here priced from VND35,000 – VND65,000 ($1.5 – $2.8). 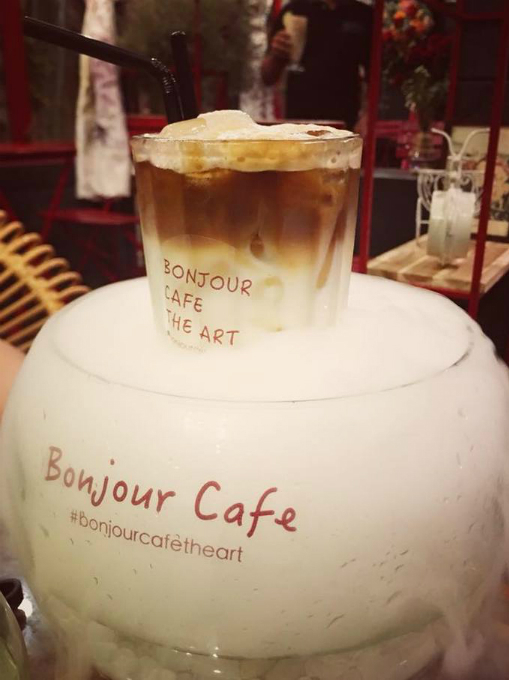 The signature drink here is the Bonjour Café’s Coffee, which only available on weekends.